Situated in Littleborough, this cottage is within 6 mi (10 km) of Hollingworth Lake, Rochdale Pioneers Museum, and Ellenroad Engine House. Touchstones Rochdale and Saint Edmunds Church are also within 6 mi (10 km). 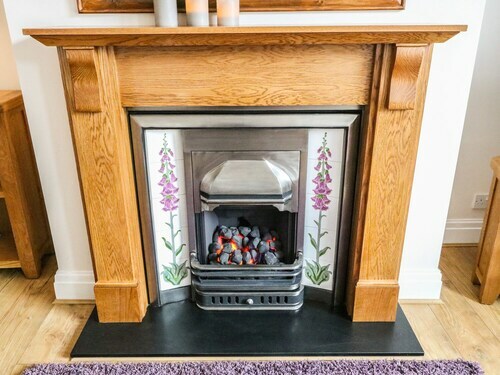 Situated in Littleborough, this cottage is 1.1 mi (1.8 km) from Hollingworth Lake and within 6 mi (10 km) of Rochdale Pioneers Museum and Ellenroad Engine House. Touchstones Rochdale and Saint Edmunds Church are also within 6 mi (10 km). Manchester Littleborough Station is 13 minutes by foot. 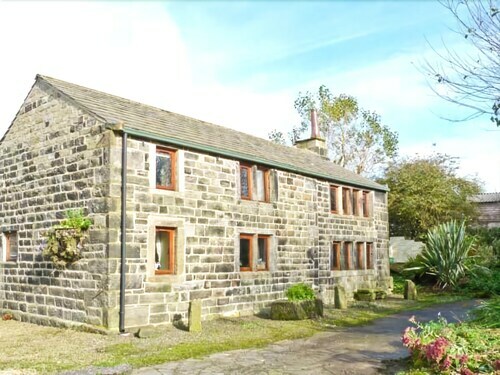 Situated in Littleborough, this cottage is 1.6 mi (2.5 km) from Hollingworth Lake and within 6 mi (10 km) of Rochdale Pioneers Museum and Ellenroad Engine House. Touchstones Rochdale and Saint Edmunds Church are also within 6 mi (10 km). Manchester Littleborough Station is 9 minutes by foot and Manchester Smithy Bridge Station is 28 minutes. 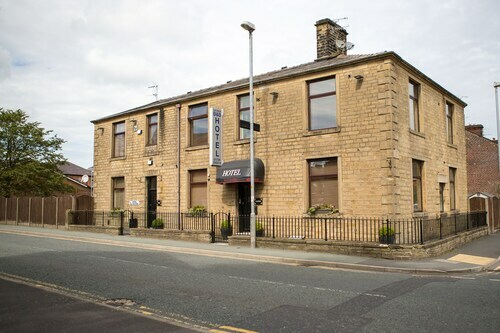 Situated in Rochdale, this hotel is 0.4 mi (0.7 km) from Rochdale Town Hall and within 9 mi (15 km) of Hollingworth Lake and The Rock. Bury Market and The Met are also within 9 mi (15 km). Rochdale Town Centre Tram Stop is 7 minutes by foot and Manchester Rochdale Station is 10 minutes. Situated in Rochdale, this property is 2.4 mi (3.8 km) from Rochdale Pioneers Museum and 2.5 mi (4 km) from Rochdale Town Hall. Hollingworth Lake and The Rock are also within 9 mi (15 km). 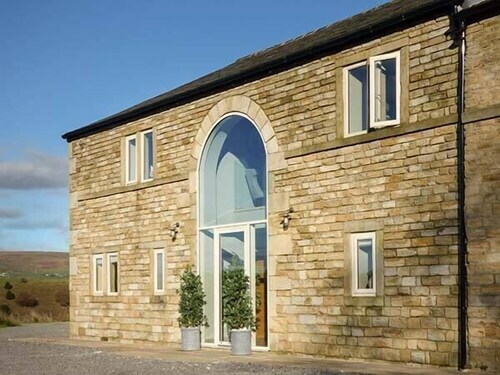 Situated in Oldham, this bed & breakfast is 2.4 mi (3.9 km) from Boundary Park and within 6 mi (10 km) of Stonerig Raceway and Hollingworth Lake. Rochdale Town Hall and Blackley Golf Club are also within 9 mi (15 km). Shaw and Crompton Tram Stop is only a 2-minute walk. Situated in Rochdale, this hotel is 1.6 mi (2.6 km) from Rochdale Town Hall and within 6 mi (10 km) of Bury Market and The Rock. Printworks and The Met are also within 9 mi (15 km). Manchester Castleton Station is 13 minutes by foot. 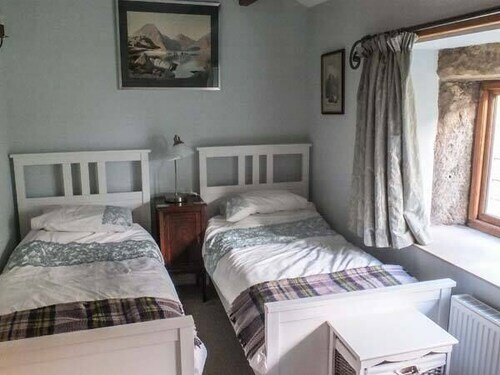 Situated in Todmorden, this cottage is within 6 mi (10 km) of Gaddings Dam, Hollingworth Lake, and Stoodley Pike Monument. Rochdale Pioneers Museum and Rochdale Town Hall are also within 9 mi (15 km). 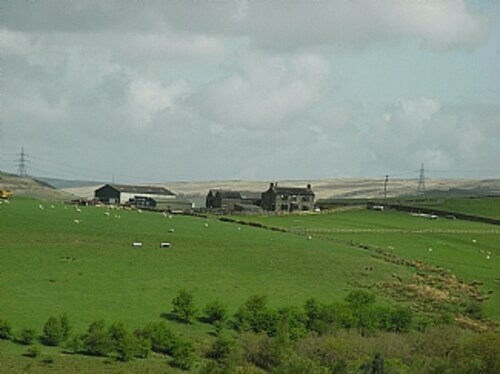 Walsden Station is 23 minutes by foot. 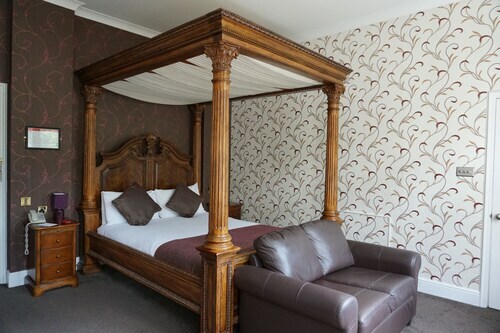 Located in the heart of Rochdale, this spa hotel is 3 mi (4.8 km) from Rochdale Town Hall and within 9 mi (15 km) of Heaton Park and Piccadilly Gardens. The Gay Village and O2 Apollo Manchester are also within 9 mi (15 km). Manchester Castleton Station is 18 minutes by foot. Situated in Oldham, this golf hotel is 2.9 mi (4.6 km) from Boundary Park and within 9 mi (15 km) of Piccadilly Gardens and National Football Museum. Printworks and Dove Stone Reservoir are also within 9 mi (15 km). Derker Tram Stop is 24 minutes by foot. 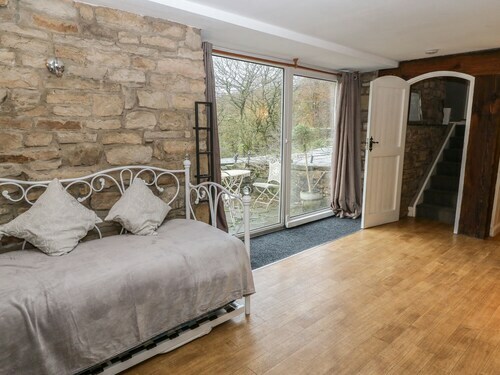 Situated in Todmorden, this cottage is 2.7 mi (4.4 km) from Stoodley Pike Monument and within 9 mi (15 km) of Gaddings Dam and Hollingworth Lake. Rochdale Pioneers Museum and Touchstones Rochdale are also within 12 mi (20 km). Todmorden Station is 15 minutes by foot. Human beings weren't designed to spend all their time surrounded by concrete. An adventure to natural areas such as Hollingworth Lake isn't just great fun, it's essential to our lives. It's just one of several attractions that makes the city of Manchester so well-known. 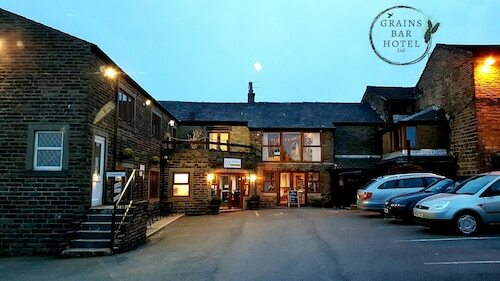 Savvy travelers searching for a convenient place to stay a night or more can choose from 6 hotels, all within 6 miles (10 kilometers) of Hollingworth Lake. See which one looks best out of The Royal Toby Hotel and Mercure Manchester Norton Grange Hotel and Spa. Focusing on exceptional coffee and delectable light meals, Olive & Pickle Deli Cafe (25A Lake Bank, Littleborough) should also be on your schedule after you've visited Hollingworth Lake. When you start thinking about dinner options, make a booking at Lake Side, Littleborough (Lake Side, Littleborough), a mere 0.1 miles (0.2 kilometers) away. If you can't make it to one of the more well-known museums, grow your knowledge at Ellenroad Engine House. If you're eager for a little education, go and see what's displayed at Rochdale Pioneers Museum. If you're looking for somewhere to keep the kids busy, plan a trip to Greater Manchester Fire Service Museum. Imagine what it might have been like to live in this destination long ago as you admire Rochdale Town Hall, a historic government building. Stroll around and enjoy the artwork at Touchstones Rochdale. A relaxing ride on a train is a fantastic way to reach Hollingworth Lake. The closest station, Smithy Bridge, is 0.5 miles (0.8 kilometers) away. How Much is a Hotel Room in Hollingworth Lake? Hotels in Hollingworth Lake start at $43 per night. Prices and availability subject to change. Additional terms may apply.